THE WEREWOLVES HAVE A NEW LEADER...AND HE CANNOT BE STOPPED. Werewolf packs are being united and absorbed into an army of super soldiers by a mysterious figure who speaks like an angel and fights like a demon. And every Knight Templar—keepers of the magical peace between mankind and magickind—who tries to get close to this big bad wolf winds up dead. No knight can infiltrate a group whose members can smell a human from a mile away...no knight except one. John Charming. Ex knight. Current werewolf. Hunted by the men who trained him, he now might be their only salvation. But animal instincts are rising up to claim John more powerfully than ever before, and he must decide if this new leader of wolves is a madman...or a messiah. 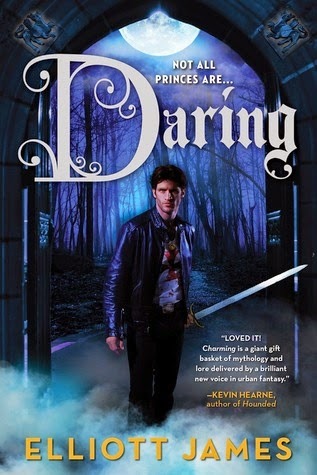 Daring, the second book in Elliott James’ Pax Arcana series finds John Charming, who is one of those Charmings, but definitely not a prince, nor is he a Knight Templar - anymore, caught between a werewolf and a knight. Werewolves are organizing into an army, which has the Knight Templars worried. 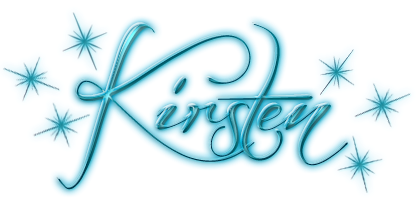 Every attempt they’ve made to get close to the mysterious new leader who has the werewolves working together on a grand scale, has been foiled, and the knight ends up dead. There’s no knight alive who can infiltrate a group like this, no one that is, except for John Charming, who happens to be a werewolf. He’s also a man who is avoiding Sig, the woman he might have fallen in love with, who happens to be a Valkyrie who can communicate with the dead - neither of them are well-versed in talking about their feelings, so they tend to hurt one another in order to protect the other, which in turn doesn’t make either of them more trusting. To make things even more complicated, all Knights Templar are under a geas which compels them to protect the Pax Arcana, which is the ‘see no magic, and mortals don’t freak out’ sort of barrier that keeps a lid on all the magical activity that people don’t notice. That means that sometimes, John is literally under the magical gun to do something he may think isn’t right. To get the ball rolling, in typical self-sacrificing fashion, John surrenders to the Knights Templar in order to protect Sig and his other friends, which leads to him becoming a one of the pack, and he has to confront the question of whether the Knights Templar or the werewolves have the right idea, and it’s not as simple as one would think. John also has to deal with the werewolf instincts that he had to confront in the last book, and decide who he is, and what lines he will and won’t cross. The new werewolves are a mixed bunch, some are more fleshed out than others, and at times the story moves a little more slowly, but most of that is spent in world building, and it largely pays off nicely in the end. Whereas Charming had very clearly defined villains, this second book muddies the waters, and by introducing such gray areas, promises interesting things for further books in the series.